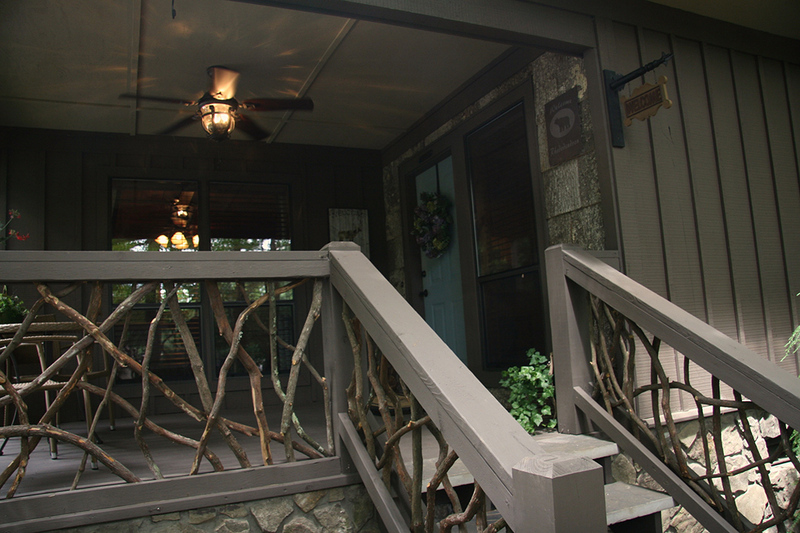 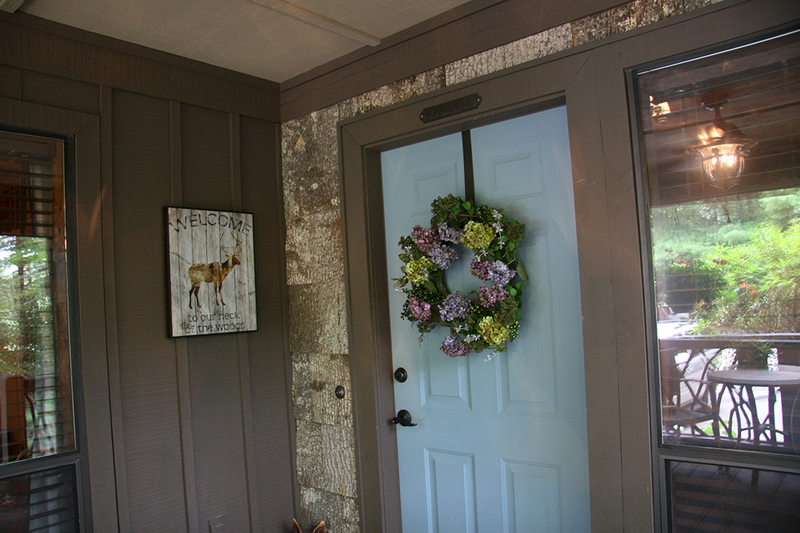 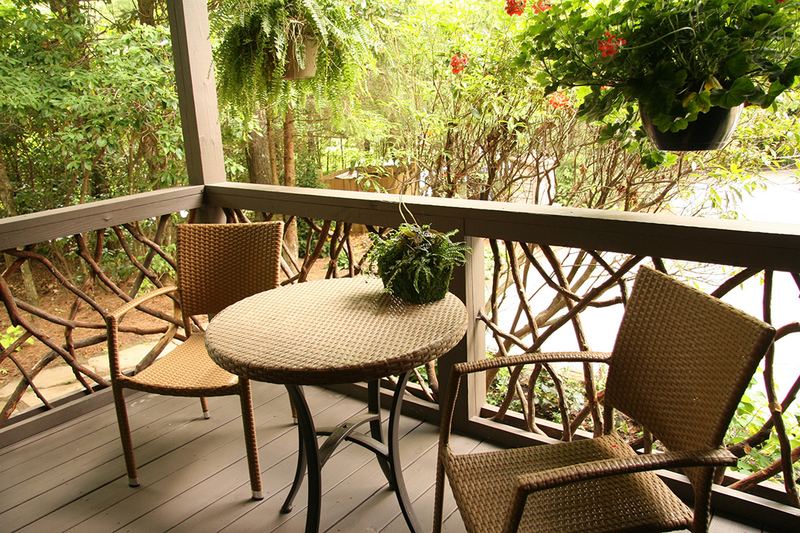 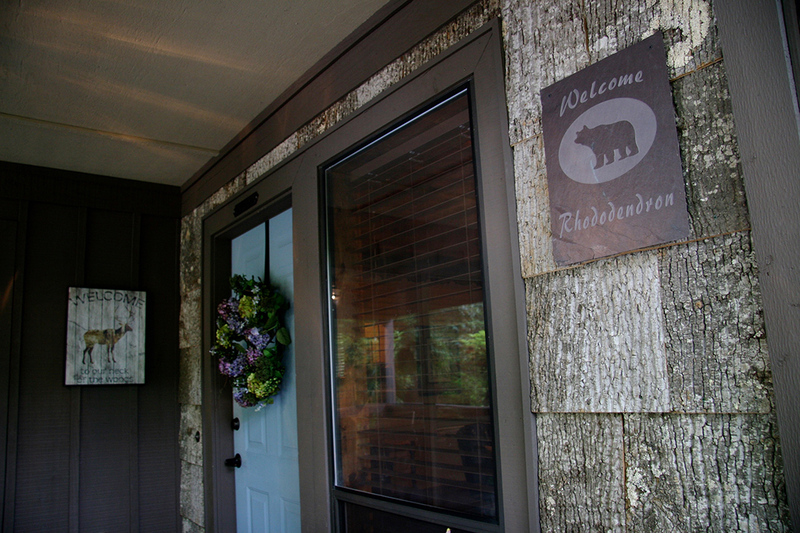 The Rhododendron suite has a beautiful porch with wicker seating and rustic branch railings. 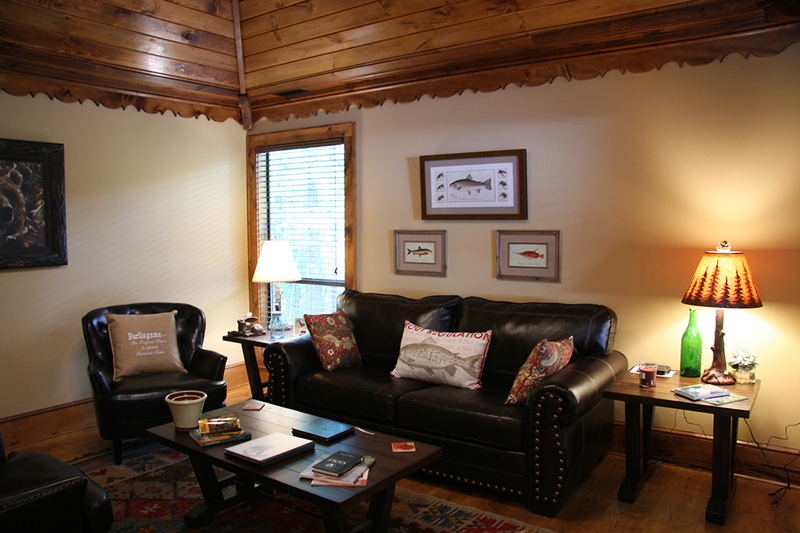 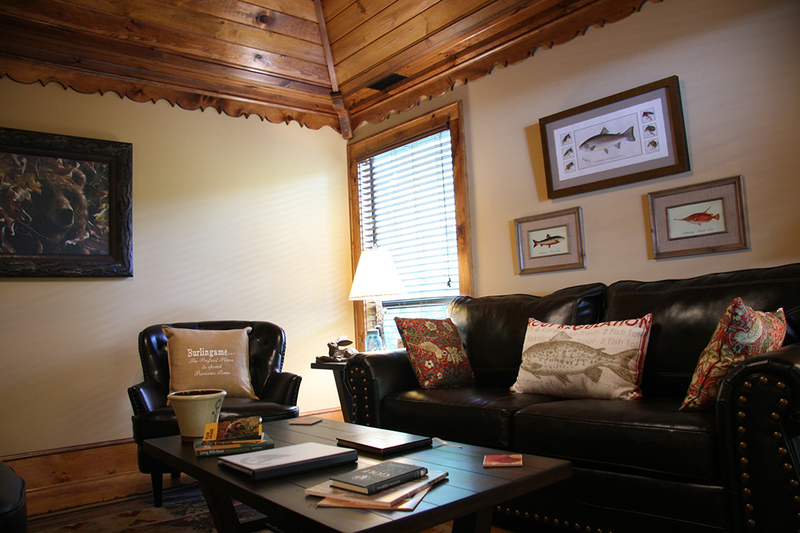 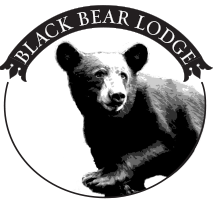 The main room is spacious with wood floors, warm wood ceilings and area rugs, comfortable leather seating and a large television complete with wifi. 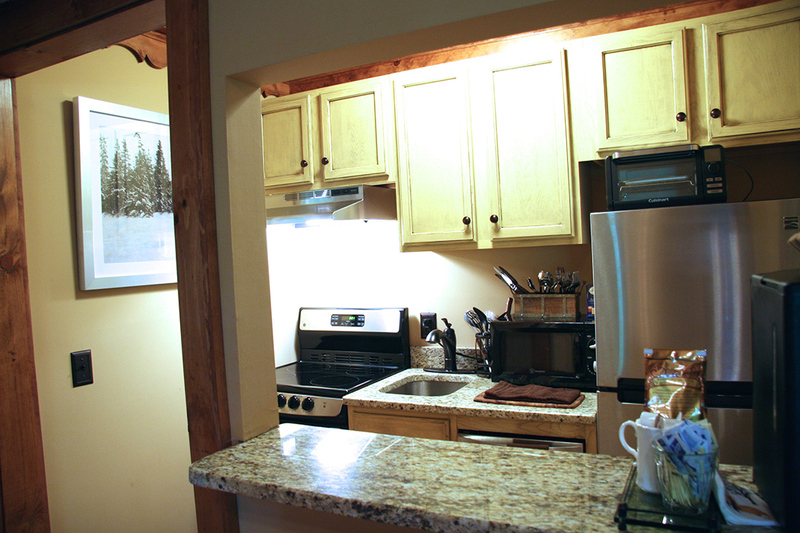 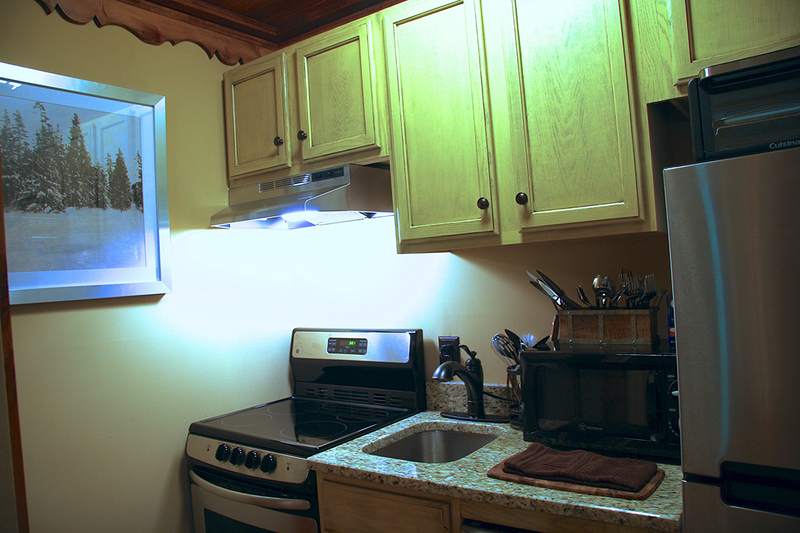 The kitchen has a full refrigerator/freezer, stove, dishwasher, microwave, coffee pot and toaster oven. 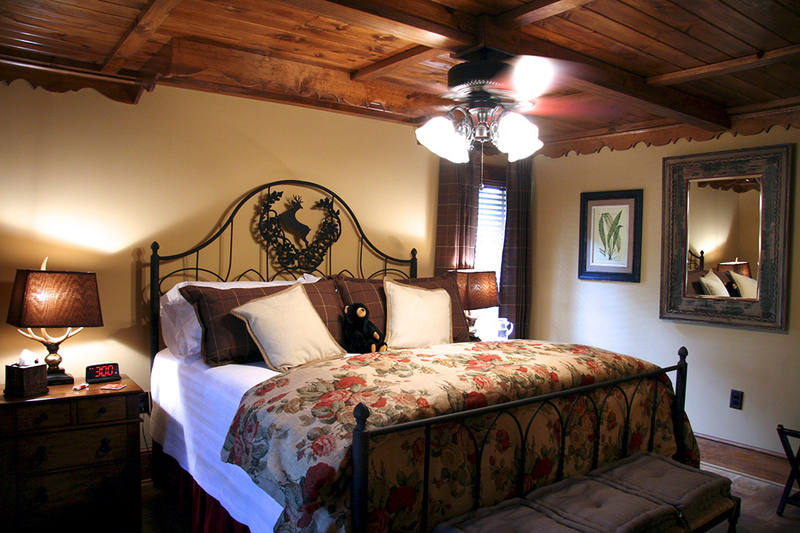 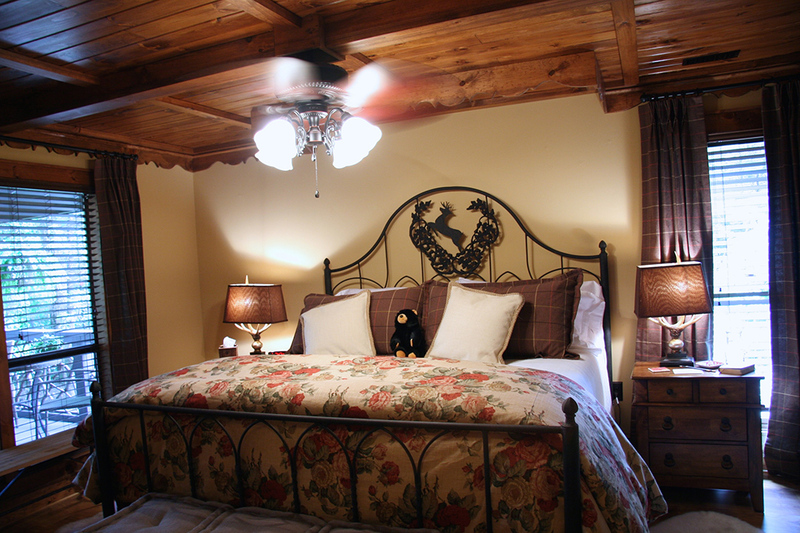 The bedroom offers a very comfortable pillow top king size iron bed with ceiling fan. 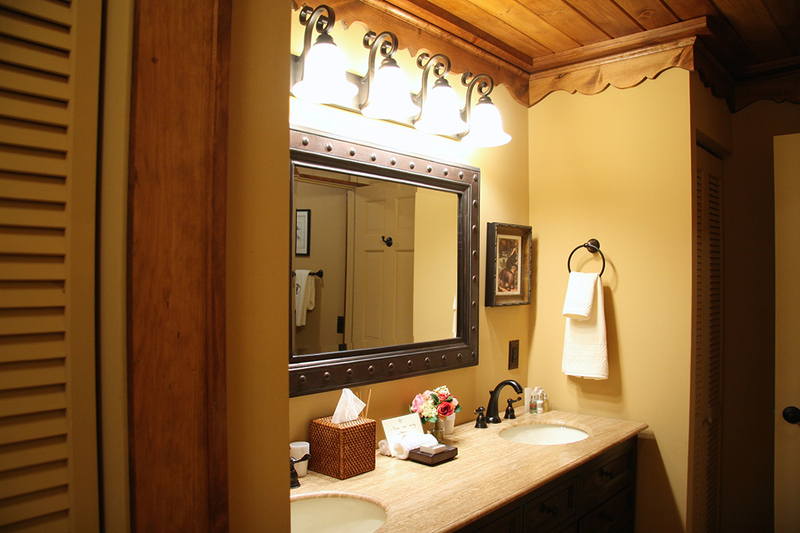 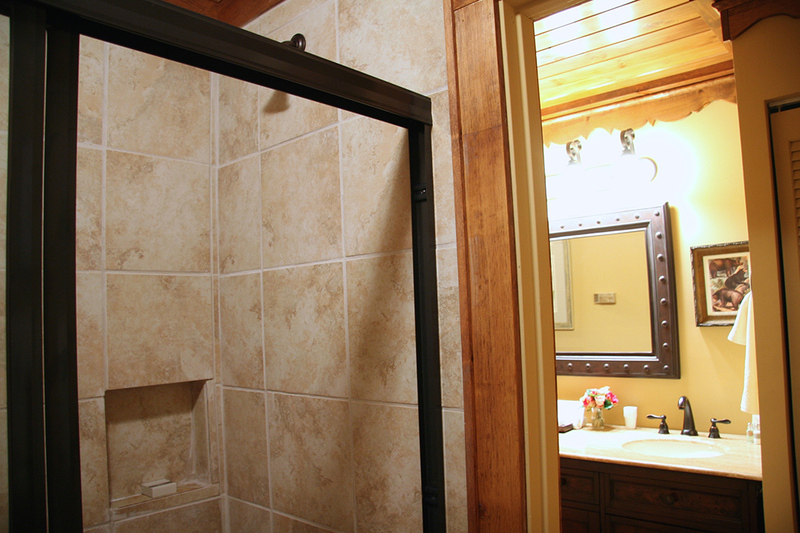 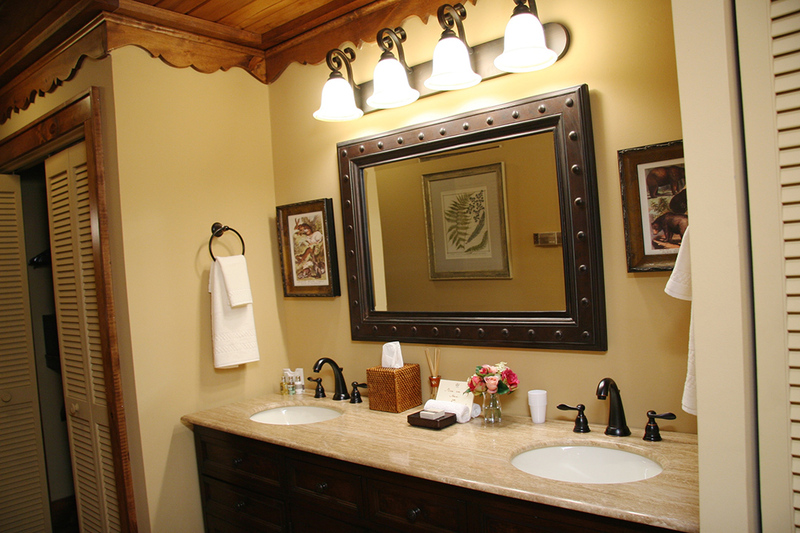 The bathroom has a two sink vanity and a large tiled shower and soft plush towels and bathrobe. 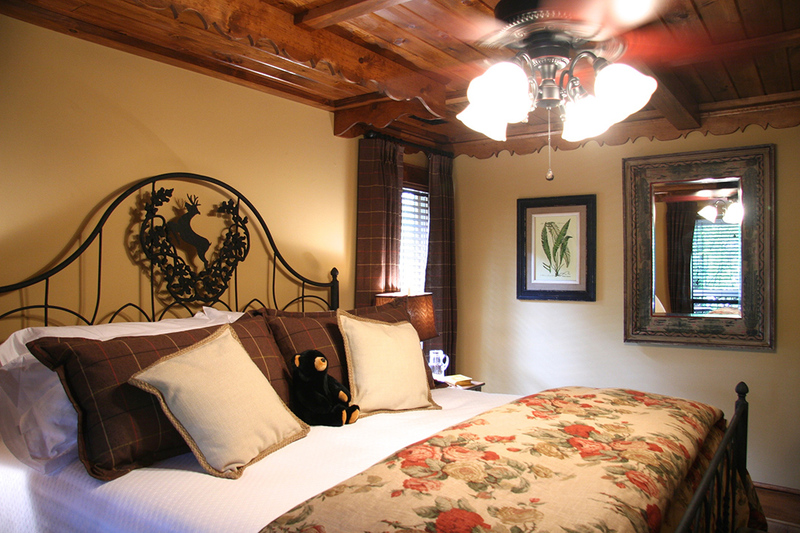 It is a cozy retreat with every amenity to help you unwind and relax. 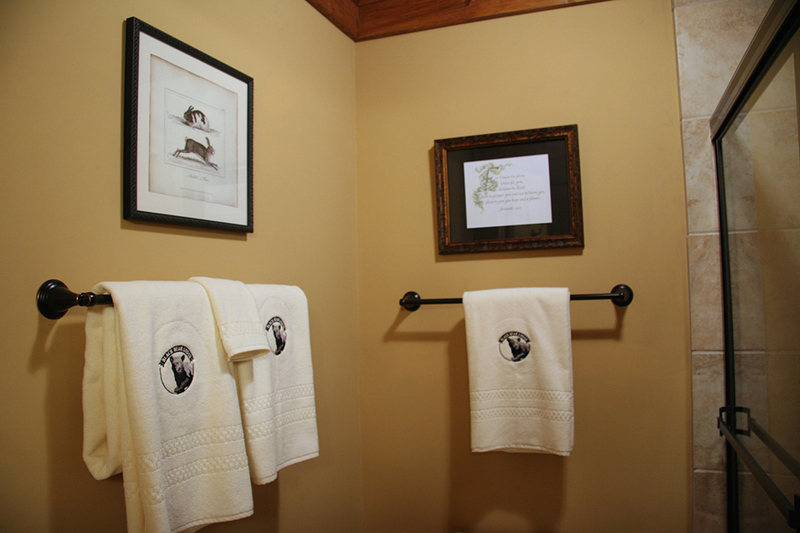 This is a pet friendly suite.